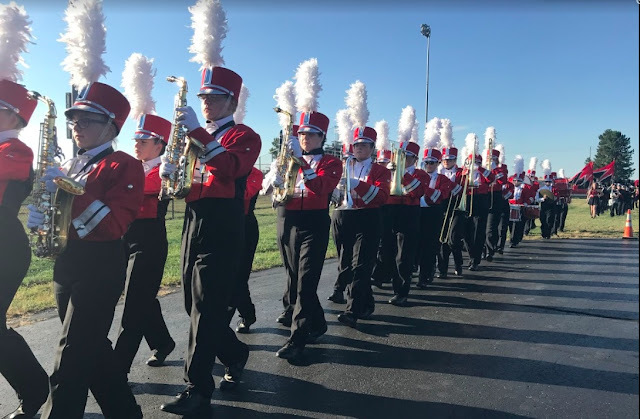 We just wanted to pass along a couple reminders about what we'll be doing/asking for as part of Band Camp check-in this Sunday, August 2nd from 3-5pm. 1. Payment of any remaining balance. If you have any questions regarding your balance, please do not hesitate to let us know. Only checks will be accepted and should be made payable to Fairbanks Music Boosters. 2. Medical form (if not already turned into Mr. Keller). 3. Case (24 minimum) of bottled water. 1. Room Key and Meal Card - ** IMPORTANT ** : If either of these is lost, a $50 / item fee (set by Urbana University)will be charged to you.